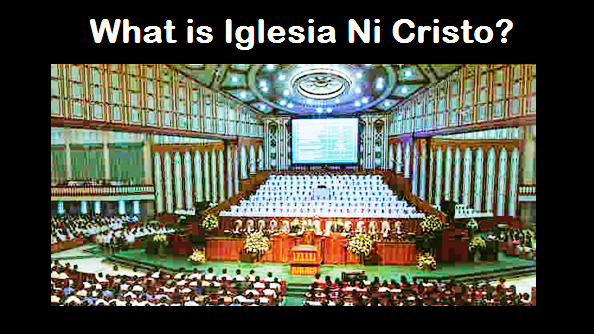 THE IGLESIA NI CRISTO: Is the Lord Jesus Christ the one referred to in Proverbs 8:22-30? Although the name of the Lord Jesus Christ was never mentioned in the verse, but those who believe that Jesus is God still insist that Jesus is the one referred to in the said verse. Thus, it is only their interpretation in saying that the Lord Jesus is the one referred in Proverbs 8:22-30. Those who believe that Jesus is God did not bother to examine first the verses. After reading the verses, they immediate jump to conclusion that Jesus is the one referred to in the verse. Because they did not bother to examine the verses, they failed to realize that it is ridiculous to say that Jesus Christ is the one referred in the verse. Why? Let us read again the verses 12 and 22, and let us also quote verses 1-2. This clearly proves that although I Corinthians 1:24 mentioned that Jesus is God’s wisdom, but it is incorrect to say that Jesus is the “wisdom” mentioned in Proverbs 8:22-30, for the pronouns used referring to the “wisdom” in Proverbs 8:22-30 are “her” and “she” (cf. Prov. 8:1-2). Therefore, it is truly ridiculous to say that Jesus is the one referred to in Proverbs 8:22-30.